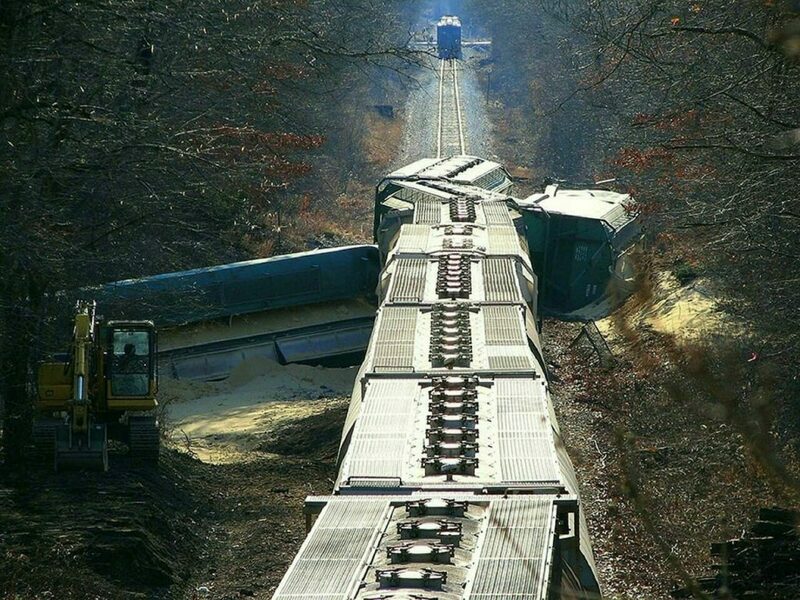 According to the Federal Highway Administration, a train wreck occurs every two hours in the United States. Last year alone, there were more than 3,000 train wrecks. While this may not sound like many train wrecks take place during the course of the year, compared to other accidents such as car or motorcycle accidents, train wrecks tend to be much more catastrophic and the resulting injuries more severe. That’s because of the weight of the train, the high speeds that trains often travel and the difficulty of stopping quickly. It is estimated that almost 1,000 people died in a train wreck last year. Since there are many factors that lead to a train wreck, there are many people who can be held responsible for your injury, loss of income, or pain and suffering. While it’s the responsibility of the railroad company to maintain the tracks and the train you ride, truck and car drivers also have the responsibility of following the laws and not attempting to cut across the tracks after the crossbars have been lowered. Train accidents can have catastrophic results and can lead to both emotional and financial devastation. Accordingly, if you or someone you love has been the victim of a train wreck, please contact the train wreck lawyers in South Carolina at McWhirter, Bellinger & Associates, P.A., for an initial consultation. The attorneys at McWhirter, Bellinger & Associates, P.A., are dedicated to protecting the rights of its clients. The law limits the time frame in which you can claim compensation, so don’t hesitate, please contact us today.